A New York Times Best SellerA National Book Critics Circle Award FinalistA New York Times Book Review Top 10 Book of the YearA Facebook Year of Books SelectionOne of the Best Books of the Year National Book Critics Circle Award finalist The New York Times Book Review Top 10 Entertainment Weekly Top 10 New York Magazine Top 10 Chicago Tribune Top 10 Publishers Weekly Top 10 Time Out New York Top 10 Los Angeles Times Kirkus Booklist NPRs Science Friday Newsday Slate Refinery 29 And many more...Why do we fear vaccines? A provocative examination by Eula Biss, the author of Notes from No Mans Land, winner of the National Book Critics Circle AwardUpon becoming a new mother, Eula Biss addresses a chronic condition of fear-fear of the government, the medical establishment, and what is in your childs air, food, mattress, medicine, and vaccines. 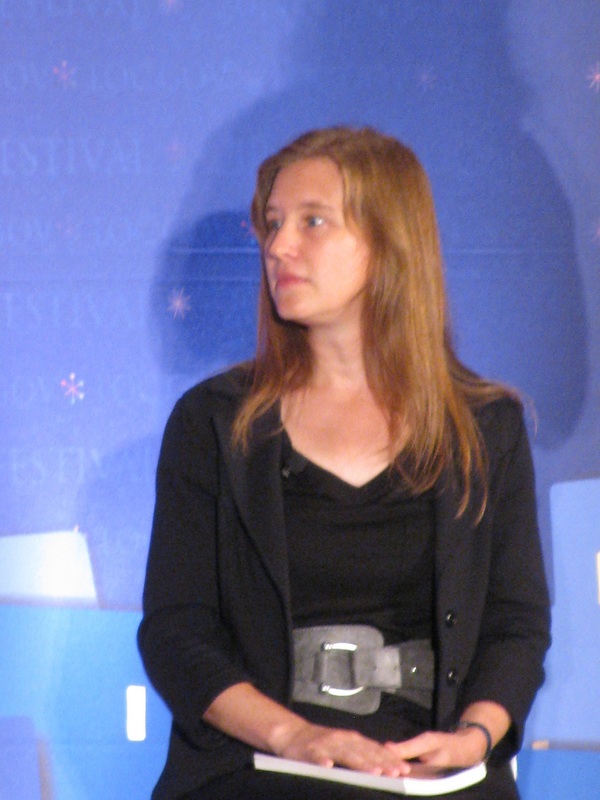 Eula Biss (born circa 1977) is an American non-fiction writer. She won the Carl Sandburg Literary Award,the Rona Jaffe Foundation Writers' Award, the Graywolf Press Nonfiction Prize, the Pushcart Prize, and the National Book Critics Circle Award. She is a Guggenheim Fellow. She is an editor at Essay Press. Bio from Wikipedia, the free encyclopedia. Photo by Slowking4 (Own work) [GFDL 1.2 (http://www.gnu.org/licenses/old-licenses/fdl-1.2.html) ], via Wikimedia Commons.